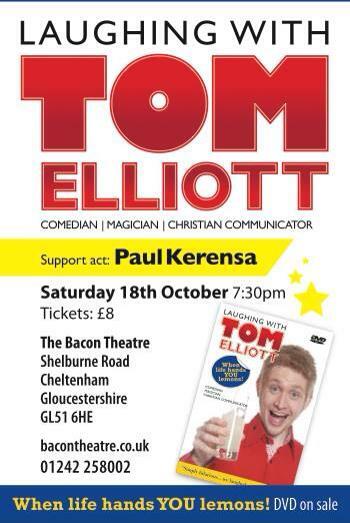 But talking of laughter – Do come a long to my DVD recording on 18th October in Cheltenham. 1) Bring your family not your pets – Your Goldfish won’t find this of much interest, but your family might so bring them along. 2) Bring your friends and neighbours – Nothing beats a good laugh and a bit of magic. 3) Be on camera without the hefty speeding fine!